After much deliberation, we present you with the shortlisted stories for the 2nd Volume of The Short Story is Dead, Long Live the Short Story. We had several readers sort through the entries and three esteemed judges to make the final decision. The judges were chosen for their own literary prowess, experience with the short story form and enthusiasm for finding great new stories. 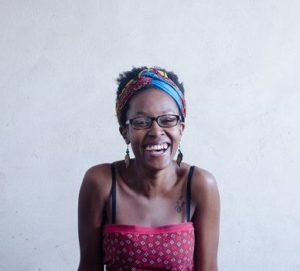 Ms Segoete is co-director of Ba re e ne re Literary Arts, a non-profit organisation which hosts the annual Ba re e nere Literary Festival, the first of its kind in Lesotho. She is also a contributor to This Is Africa. She graduated from the Limkokwing University of Creative Technology in 2012, majoring in International Business. Despite of her qualifications she pursued a career in her passions – writing, arts and culture. Her life mission is to make inspiring contributions in the fields of education and art. Segoete is a practicing artist with her primary medium being the written word, which she describes as double-edged sword. Dilman Dila recently published a collection of speculative short stories, A Killing in the Sun with Black Letter Media. He was longlisted for the Jalada Prize for Literature (2015), the BBC Radio Playwriting Competition (2014), shortlisted for the prestigious Commonwealth Short Story Prize (2013). Dila is also a filmaker. 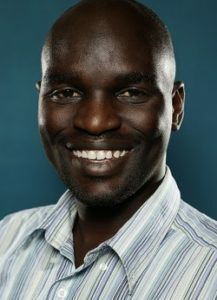 His works include What Happened in Room 13 (2007) and the narrative feature, The Felistas Fable (2013), which was nominated for Best First Feature at Africa Movie Academy Awards 2014, and which won four major awards at the Uganda Film Festival 2014. He won the Jury Award (Bronze Drum) at the Nepal International Indigenous Film Festival for his documentary, The Sound of One Leg Dancing. More of his life and works are available at his website. 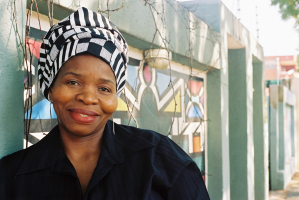 Makhosazana Xaba is the author of two poetry collections: these hands (2005) and Tongues of their Mothers (2008). Her poetry has been anthologized widely including translations into Italian, Mandarin and Turkish. She is an author of Running and Other Stories (2013) which won the Nadine Gordimer Short Story Award of the South African Literary Awards (SALA) in 2014. She co-compiled and co-edited, with Karen Martin, an anthology of short stories, Queer Africa: New and Collected Fiction (2013) which won the 26th Lambda Literary Award for the fiction anthology category in 2014. Xaba is also feminist activist with decades of experience in the struggle having started her activism in her youth. She spent some time in exile as an MK soldier and as a journalist for The Voice of Women (VOW) a journal of the ANC Women’s League and Radio Freedom. She holds a Diploma in Journalism and an MA in Writing (both with distinction) from Wits University. Thank you very much to everyone who entered. The range, inventiveness and quality of entries greatly impressed us this year. Look out for a further announcement with the winner and launch of the collection. Follow us on the Black Letter Media website and our Facebook page for updates.